Several break-out sessions of the annual Autism Society conference in Indianapolis, Indiana were focused on the support of students with ASD in higher education. Dena Gassner (Adelphi University), Dr. Lorna Timmerman (Ball State University), and Jackie Clark and Rebecca Hansen (Marshall University) carried out a panel discussion on the topic, titled “Is College for Me.” Panel members discussed challenges related to success for students with ASD in higher education, and best-practice support strategies that can help overcome challenges. Dr. Timmerman discussed at length the importance of self-determination in achieving success in college. Learn to become more independent, especially in regard to making their own decisions. Understand how to regulate their behavior in difficult situations, deal with stressors, and plan ahead by setting and attaining goals. Know their strengths, weaknesses, interests, and preferences; understand how autism affects their learning and day-to-day living. Have confidence in their abilities to be successful and meet goals. 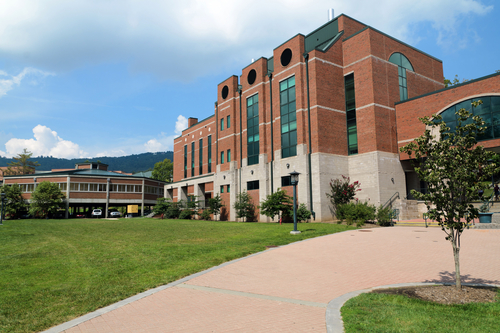 Each summer the West Virginia Autism Training Center, located at Marshall University, conducts a college experience for rising high school seniors interested in learning about the college lifestyle. Students take a typical class, live in dorms, participate in skills groups, and attend study halls. And in between all that, they try to have some fun. 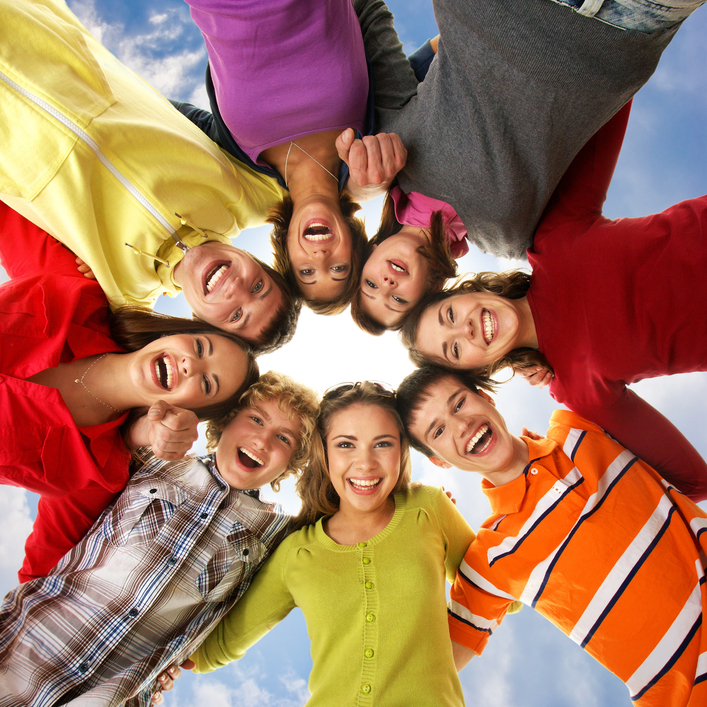 Significant to the experience is the building of “community” – in both the physical and social sense of the word – in which students can feel safe and connected to others. The college support program strives to create an experience where students can recognize and realize their potential. A large part of realizing one’s potential for higher education is feeling grounded and confident on campus. What follows is a description of that high school summer experience written by a student who participated several years ago (he is now a successful upperclassman at a university). Lots of professionals talk about the importance of practical experience when teaching students with ASD; enjoy this first-person account from Charlie, as he describes how a summer experience transformed his views on attending college. Dr. Julio Alves, of Marshall University, has worked extensively with college students diagnosed with ASD in his role as instructor of Classical Guitar Music Theory. Students who pursue a degree in Fine Arts face a significant hurdle in that they must pass both academic and rigorous performance evaluations to graduate. A video interview with Dr. Alves can be seen below. The video isn’t professionally edited; in fact, the camera is a little shaky and the transitions between questions aren’t perfect. At the 1:25 mark, Dr. Alves describes his initial anxiety upon learning that he would be providing instruction to one or more guitar majors diagnosed with ASD. He points out that his training to be a college professor did not include learning to teach students with ASD, and he felt both excited and afraid of the challenge. At the 2:30 mark Dr. Alves states that he, as a teacher, may have learned more from the student (about himself, and his ability to teach) than the student learned from him. At the 3:20 mark he explains the initial doubts he had about how well students with ASD could perform in college, and how that bias changed over time. At the 4:35 mark Dr. Alves discusses the importance of relationship development with students. He provides a real-life anecdote that beautifully illustrates the importance of relationship building, and explains how professors must take the lead in building the relationship. The story also proves how well students with ASD can perform in the classroom when information is crafted to fit their learning styles. At 9:27 Dr. Alves provides some basic tips to professors who teach college students living on the autism spectrum. He emphasizes the importance of creating a learning environment that feels comfortable and safe for students. 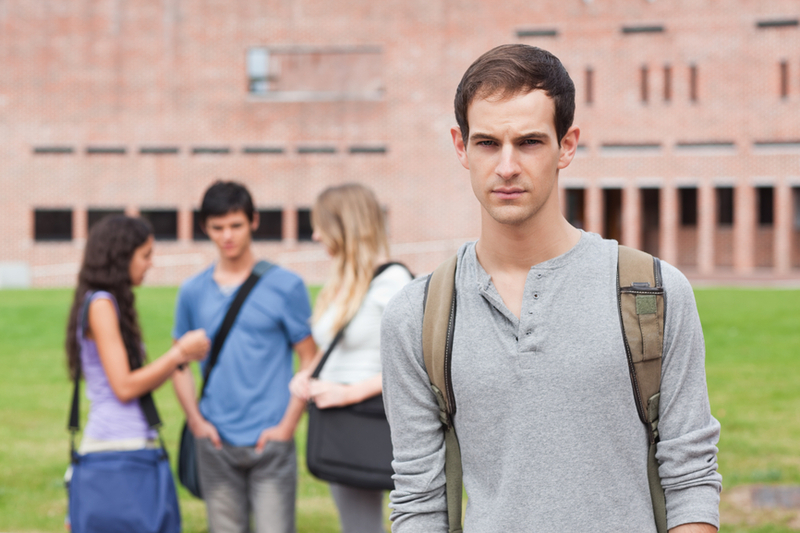 Is a Diagnostic Label of Asperger’s a Stigma in College? Students making the transition from high school to college often question the need to make public – either verbally or by providing a formal evaluation to disability service professionals in higher education – their diagnosis of Asperger’s Disorder. The concern is one to consider; common sense suggests to us that public disclosure of an autism spectrum disorder may cause stigmatization. It may be, certainly. Responses to the disclosure of an autism spectrum disorder likely vary from peer to peer, and institution to institution. There is evidence, however, that diagnostic labels may create less stigma for adults with Asperger’s Disorder than do the social behaviors commonly associated with the syndrome. The researchers surveyed 195 undergraduate psychology students at Auburn University by presenting them with vignettes that portray a wide spectrum of social behavior. Vignettes were paired either with the label “Asperger’s Disorder,” or with no label at all. Participants then completed a modified Social Distance Scale. This was a self-report questionnaire to express the level of stigma they attached to the individual described in each vignette. Findings “support the hypothesis that it is the atypical behaviors associated with AD that influence stigmatizing attitudes towards individuals with AD, not the label of the disorder”. In this study the label “Asperger’s Disorder” did not affect stigmatization to a significant level. This research is clearly limited, and the researchers suggest several potential reasons for the outcome. The study suggests, however, that in order to address potential stigmatization it may be best to spend time and effort teaching appropriate social and independent living skills, rather than prioritizing disclosure as the highest concern. This won’t be true for all. But it is a point to consider. The best advice one can receive about effective support for college students diagnosed with ASD comes from, of course, students themselves. Kristopher Kirk graduated from Marshall University with a Bachelor of Science degree in Engineering (with an emphasis in Civil Engineering) in early December, 2014. At a university-sponsored Parent Weekend event, Kristopher – who has received supports from MU’s college support program during his four years at the school – provided these insights about his college experience. Students write too little. Students often presume professors will infer from their most basic of communications what the student intends and, as a result, leave out details. These details, of course, are what professors want to read. Students write too much. Students are sometimes uncertain what professors want to read and end up throwing everything – including the kitchen sink – into the document. This especially happens when students are writing about a topic that has personal interest to them. Students with Asperger’s Disorder sometimes cannot predict what professors want to read in a writing assignment. This creates difficulties with emotional regulation, during which students may avoid the assignment or have an emotional meltdown. 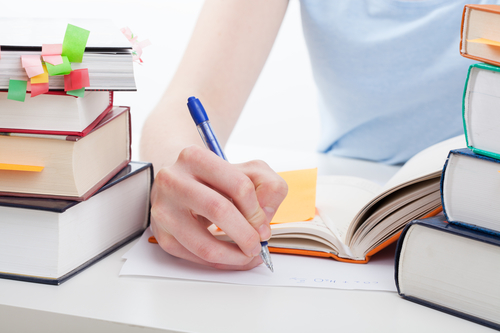 Students can more easily complete writing assignments when provided clear instructions about the structure of an assignment and relevant examples. A template is often helpful. The following is such a template, used to help a student assigned with writing a paper for a History class. Please note: The examples provided were not related to the assignment. They were merely examples. In 2013 I surveyed disability service professionals at 578 degree-granting, four-year public institutions of higher education. The survey was designed to determine the current readiness of higher education to support the academic, social and communication, and independent living needs of college students diagnosed with Asperger’s Disorder. 230 colleges participated in the survey. The survey was designed around the Benchmarks of Effective Supports for College Students with Asperger’s Disorder , a checklist of efforts determined by experts as integral to effective college supports for this student population. The 2013 study demonstrated college students with Asperger’s Disorder required specialized supports, and that disability services available traditionally on campus to this population were generally ineffective. It explored, in part, whether or not colleges had specialized supports for this student population outside of traditional disability services. This article is the third in a three-part series that reports the outcomes of that research. Read Part 1 and Part 2 of this series. Colleague and friend Andrew Nelson, a coordinator in the West Virginia Autism Training Center’s Family Focus Positive Behavior Support program, supports individuals with ASD in their transition to college as part of his day-to-day duties. In his work, Andrew began to notice similar questions and issues were being raised by various students. Many of the questions were about basic procedures of higher education, such as how one applies to and gets into a university. Other questions – like “Do I have to do my own laundry?” – were about campus living. To help answer these questions, Andrew went straight to the experts: college students on the spectrum! In his video interview with three Marshall University students, Andrew explores in brief the topics of: college admission, financial aid, effective support strategies, independent living, and the importance of building on-campus relationships. All in under 6 minutes! The summer between high school graduation and the first day of college classes can be both exciting and anxiety-producing. It can be for anyone, really, but it may be especially so for individuals diagnosed with ASD. Challenges with executive functioning and theory of mind may make aspects important to the transition– planning for it, for example, or knowing who to go to for necessary advice to help with the transition – a significant hurdle to overcome. Having a practical experience on a college campus prior to the move-in day may be a good way to overcome some of the challenges associated with transition to college. Marshall University first developed a college experience for high school students diagnosed with ASD in 2008. Each summer dozens of rising seniors (students who have completed their junior year of high school and are entering their senior year) spend five weeks on campus. It’s that time of year! Colleges and universities across the U.S. are already preparing for the Summer/Fall term. At Marshall University, (and many colleges across the country), incoming freshmen arrive on campus several days before classes start to adapt to the campus community. Acclimation to campus can be especially difficult for students diagnosed with Asperger’s Disorder. Taylor and Colvin, in their article “Universal Design: A Tool to Help College Students with Asperger’s Syndrome Engage on Campus” (2013) provide helpful suggestions to institutions of higher learning that could make the orientation for students with ASD more effective.